Let’s be honest. 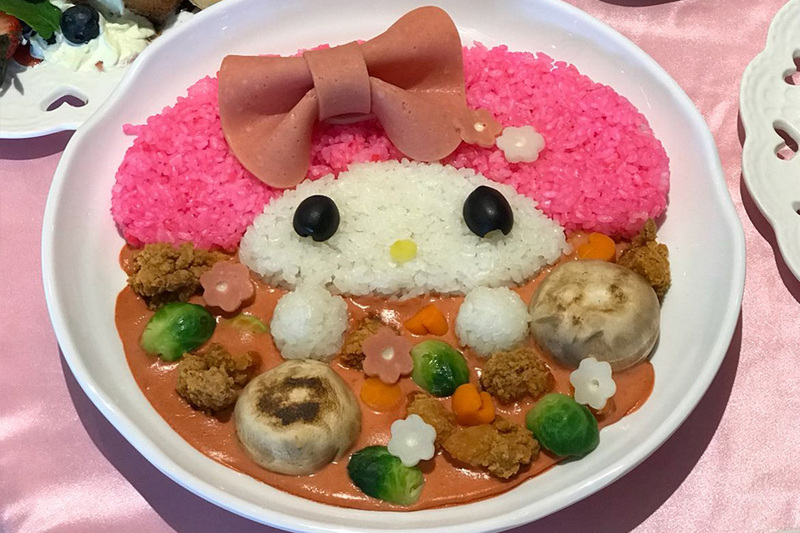 People do not really go to themed cafes for the food-food per se, but to experience the fun and interactivity. 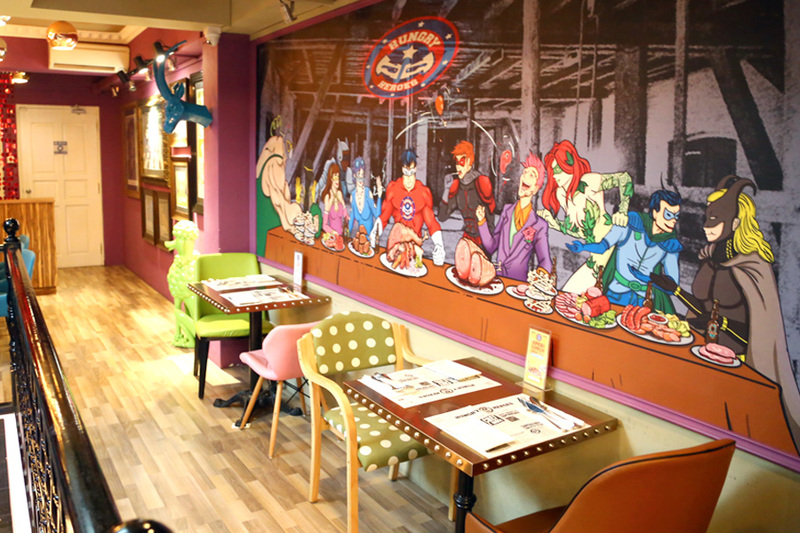 Perhaps also to find a piece of their childhood – especially for character cafes. 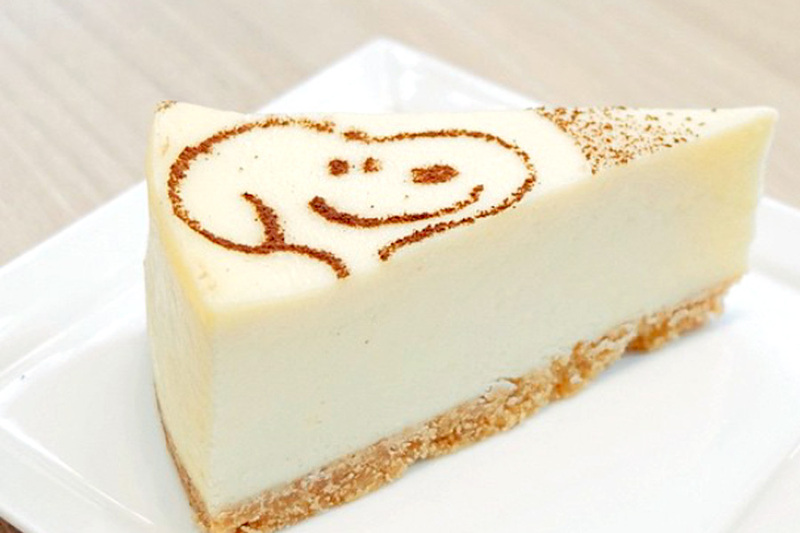 coming Mr. Men & Little Miss Café (which will switch to Mr Little Pony Cafe); and My Melody Café Singapore which will likely last till to the end of the year. Because diners can be fickle, and a good portion of customers could be there just for photo opportunities. 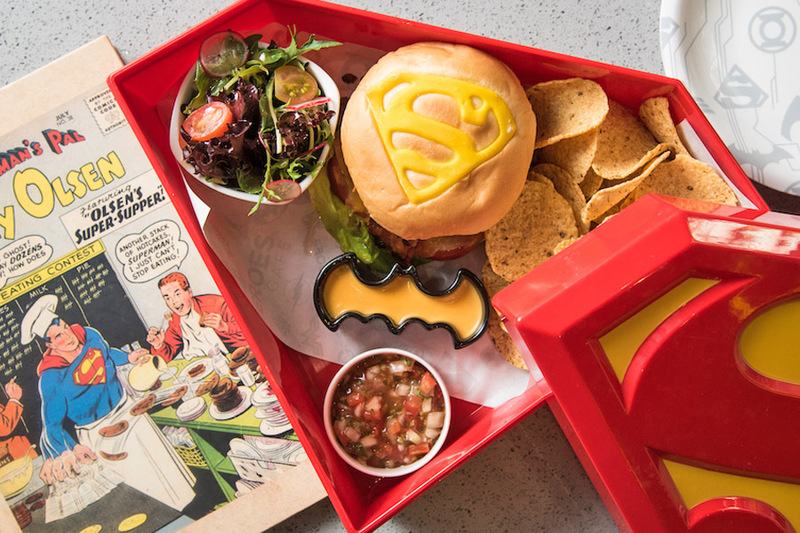 For those which last, think DC Super Heroes Café, they continue to revamp their menu and offer seasonal offerings to keep attracting people back. 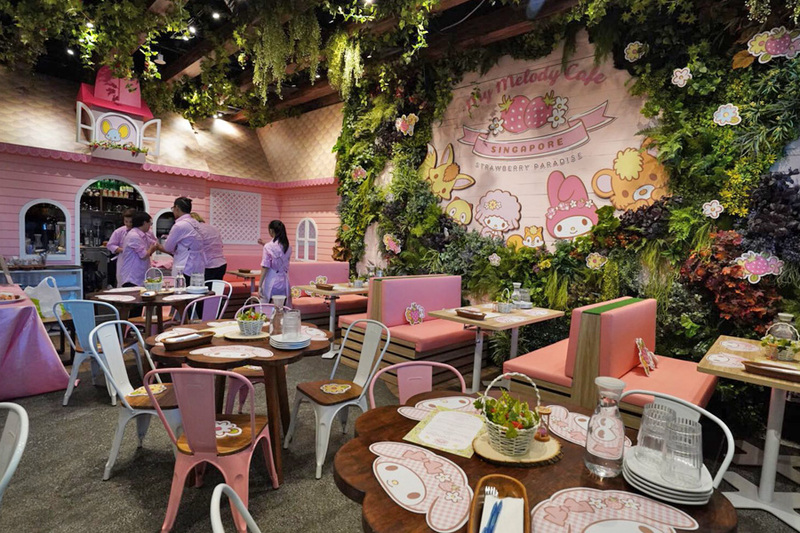 It is as pink as it gets as My Melody マイメロディ, the good-natured white rabbit finally has its own café in Singapore. 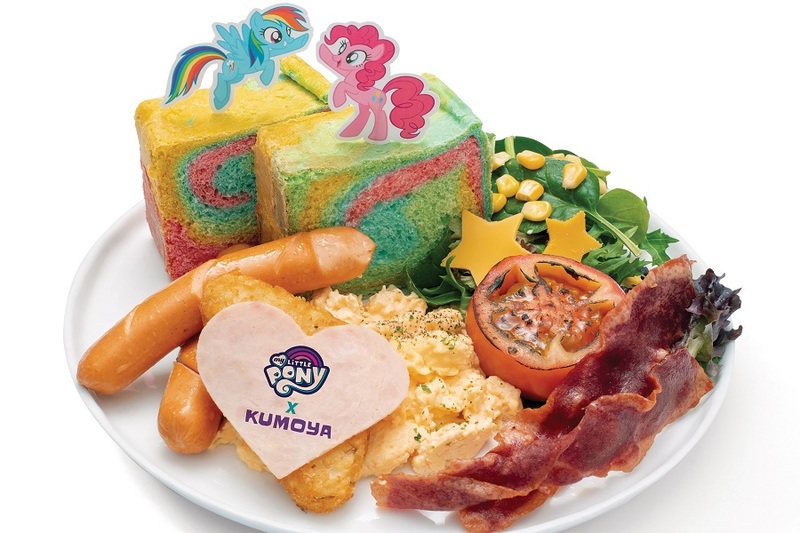 The My Little Pony may just revive those those childhood memories and rainbow dreams with their magical ponies. This is the latest Kumoya pop-up café, which will be held from 27 September 2018 to the 30 December 2018. 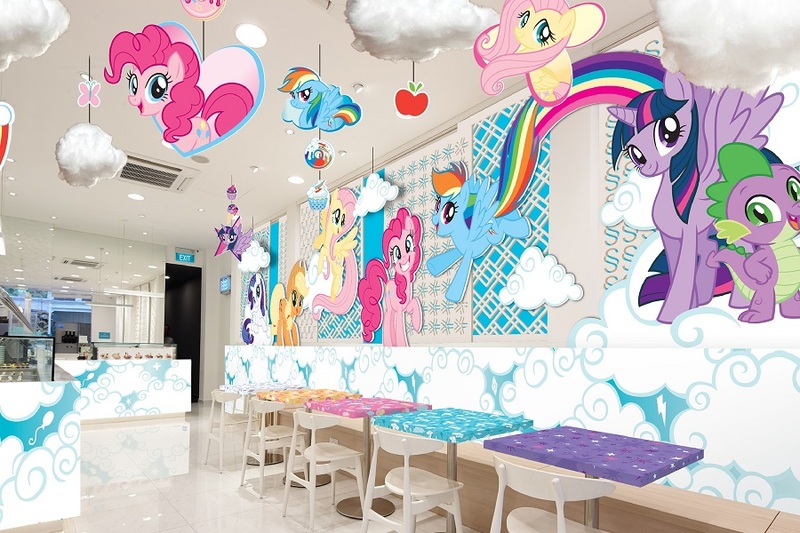 It is also South East Asia’s and Singapore’s first My Little Pony pop-up café. 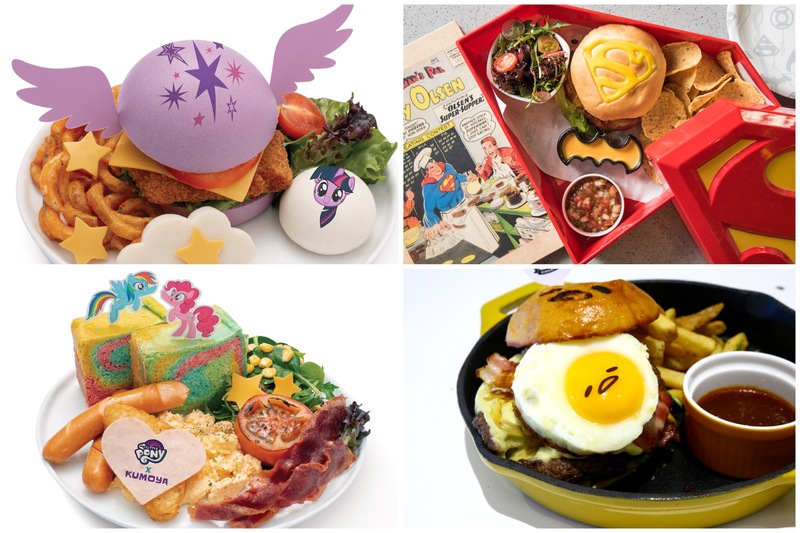 Special items include Magic Friendship Rainbow Big Breakfast ($24.90) – toasted house rainbow bread with chicken and beef sausages, scrambled eggs and cute cheese stars; Friendship Meets Love Seafood Curry ($28.90); Twilight Sparkle Soaring Skies Chicken Katsu Burger ($22.90) and dessert of Pinkie Pie Pack-a-Punch Strawberry Cake ($17.90). 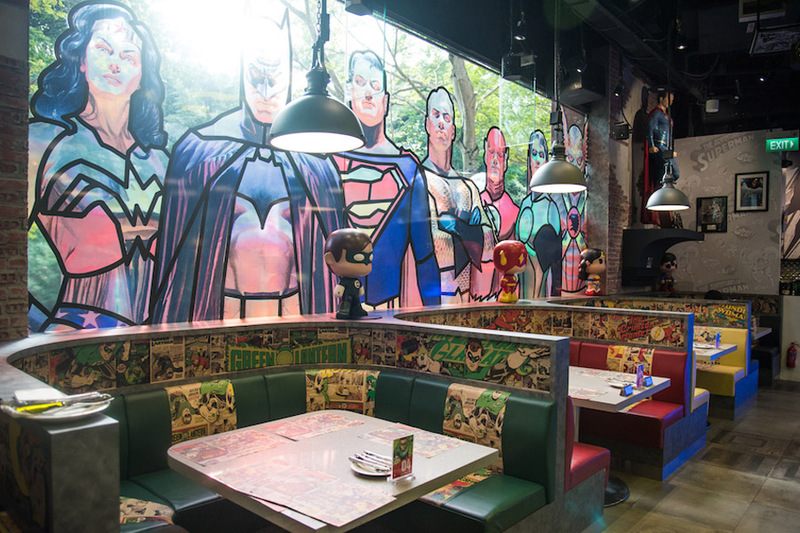 DC Super Heroes Cafe first made its appearance at The Shoppes at Marina Bay Sands, complete with retail and F&B space. The recommended is the Superman Original Free Range Chicken Burger ($25.90). 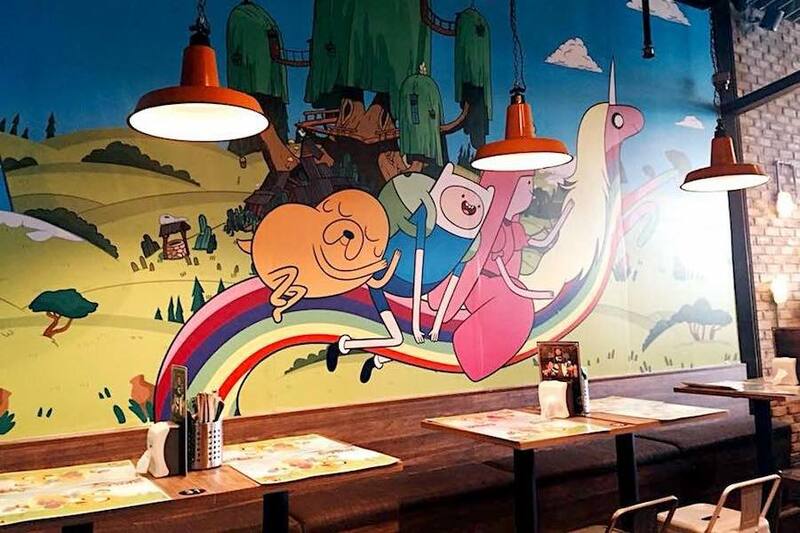 As a collaboration with Cartoon Network for a year, the 93-seaters Soup Spoon Union at Punggol Waterway Point has undergone a revamp with Cartoon Network wallpaper, toys, plushies and a dedicated corner for cartoon sketching. 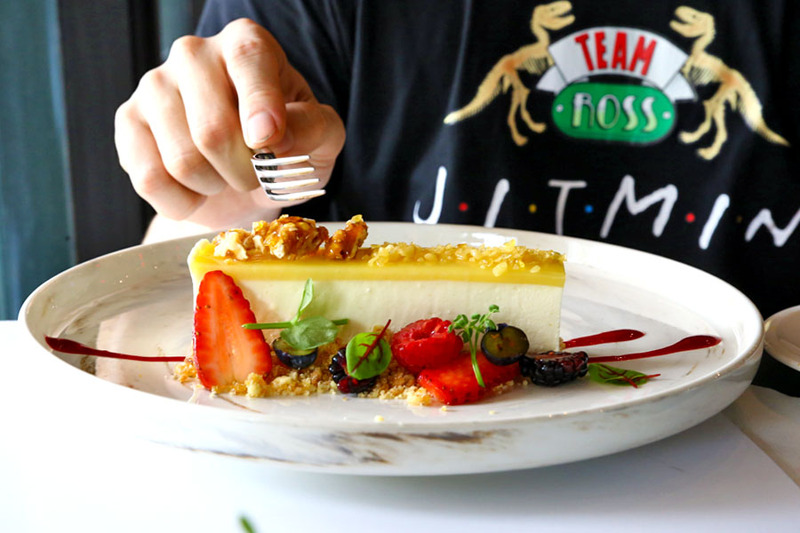 Each of the cartoon characters will be available in the Appetisers ($8.90 – $10.90), Mains ($14.90 – $23.80), Desserts ($12.90 – $16.80) and Drinks ($4.50 – $10.90) section of the menu. 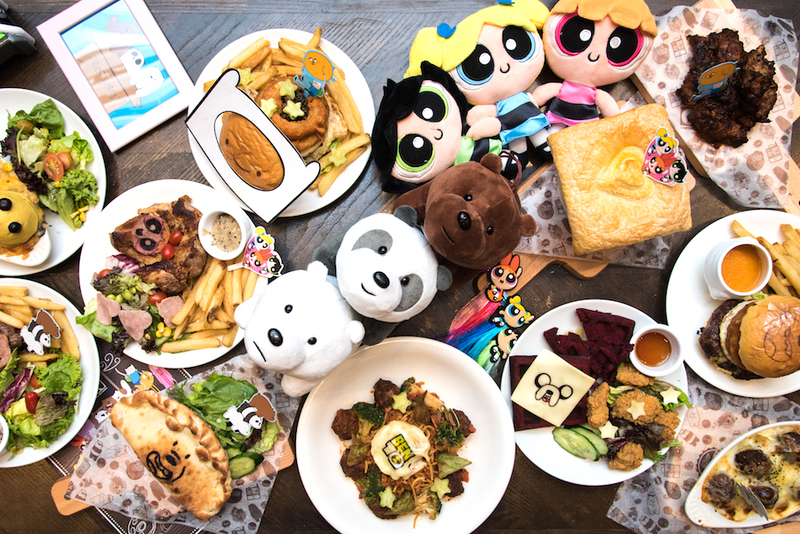 Appetisers include Adventure Time BBQ Drumlets (6pcs for $8.90), Powerpuff Potpie ($10.90), Ben 10 Baked Fries & Meatballs (6pcs for $8.90), Pan-pan Carlzone ($10.90). My favourite was the Powerpuff Potpie ($10.90) that came with a choice of Velvety Mushroom or Clam Chowder. 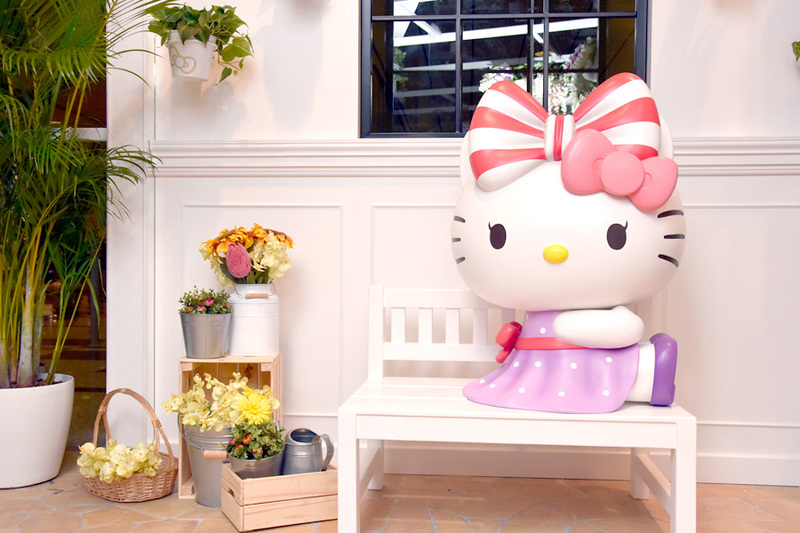 Singapore’s 1st Hello Kitty Café. 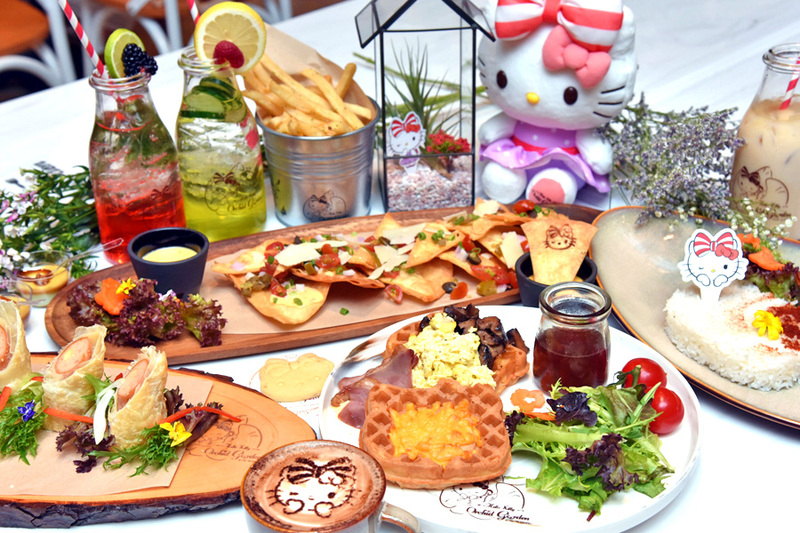 Named as “Hello Kitty Orchid Garden”, the interior and menu is inspired by Singapore’s national flower. 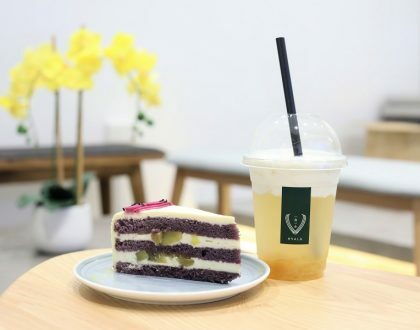 Some local influence has been woven into the menu, which comprises of all-day breakfast fare and an array of Kitty-fied desserts, including gelato sundaes, waffles, pastries and tea cakes. 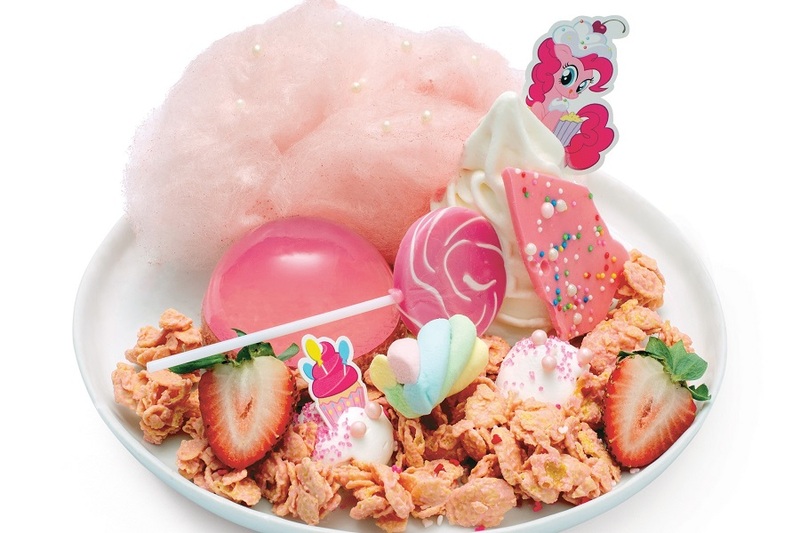 Its recommended item include a Big Breakfast Surprise ($18.50), Kitty Meets Benedict ($17.50 with Hollandaise sauce done two ways in yuzu and dill, Enchanted Forest quesadillas ($17.90), Cowabunga Wagyu ($24), Kitty Goes Fishing salmon ($23.90), and The Cat in Paradise dessert ($18.50). 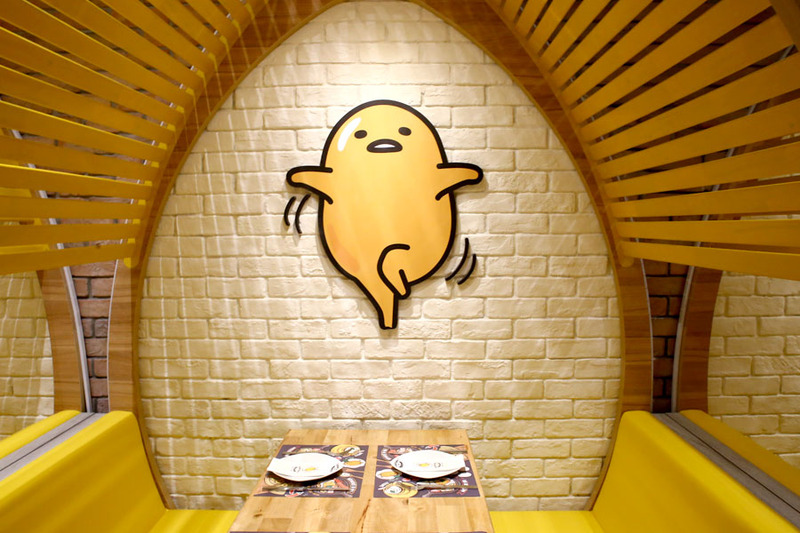 Created after popular Sanrio Character Gudetama, the Gudetama Café is started by homegrown brands Joe & Dough and The Soup Spoon. 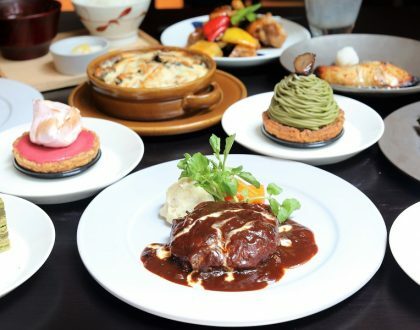 The menu consists of 10 main courses, 4 side dishes, 5 desserts, 2 kids’ meals and a range of specialty drinks. Prices for main courses range from $18.00 to $38.00 and prices for side dishes start from $12.50. Signature items include “I’m Cold” Smoked Salmon Eggs Benedict ($26.90) – poached eggs with smoked salmon over mashed avocado on brioche toast drizzled with Yuzu hollandaise sauce, served with seasonal greens; Gudetama Lobster Onsen ($16.00) – lobster bisque with poached egg in bread bowl served with seasonal greens; and “Shoyu Ramen” Set ($21.50). The “Ramen” dessert is made with chocolate and feuilletine cake topped with layers of chestnut Mont Blanc and earl grey jelly, served with a side of panna cotta and sweetened rose tea. 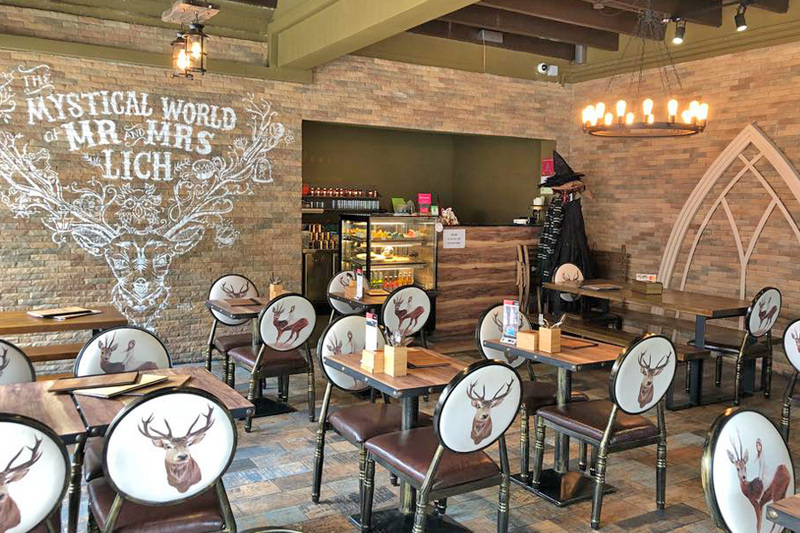 Hungry Heroes is not only for the kids, but adults as well, serving big-sized hearty portioned foods and platters such as gigantic burgers, twice-cooked Pork Ribs, specialty meats like the Bacon Karate Chop and the Nuclear Fission Angus Beef Cheeks. 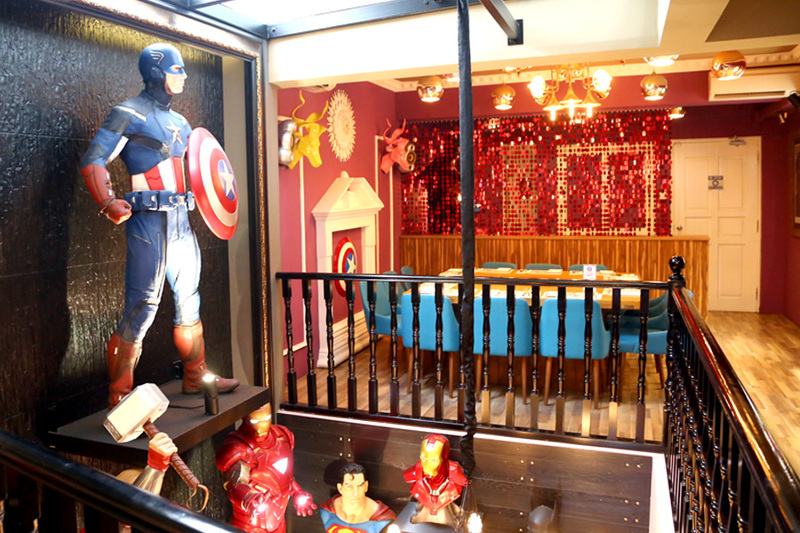 There are many original and licensed superhero memorabilia from Marvel & other comics on display, including life-sized statues, head busts, figurines and movie posters. 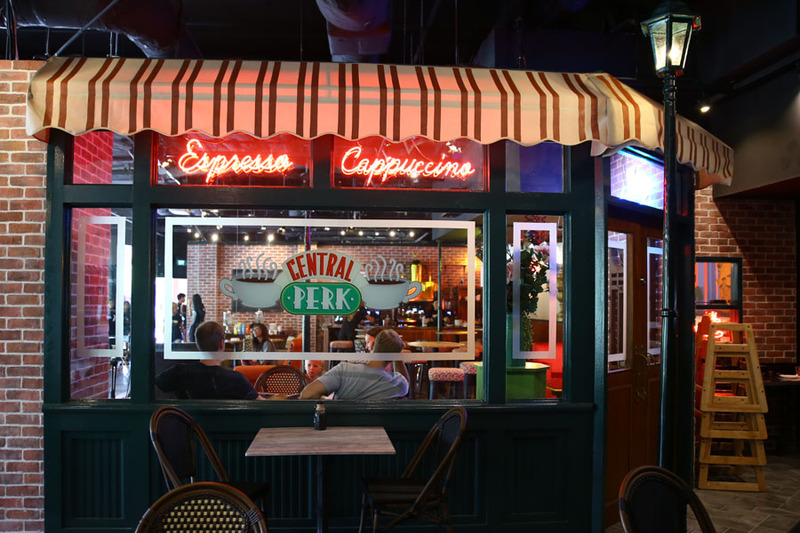 A F.R.I.E.N.D.S themed café Central Perk Singapore at Central Mall Magazine Road. This is the only cafe outside of the United States that has been granted the intellectual property rights by Warner Brothers. 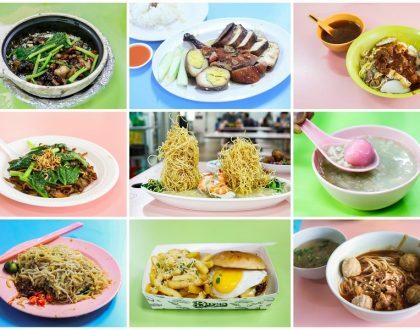 Their menu is quite expensive, includes All-Day Breakfast (prices between $6.80 – $12.80), Mains such as Charlie Brown Chicken Rice ($13.80, nothing Charlie Brown on it though), Pastas ($12.80 – $16.80), Pizzas and Desserts. 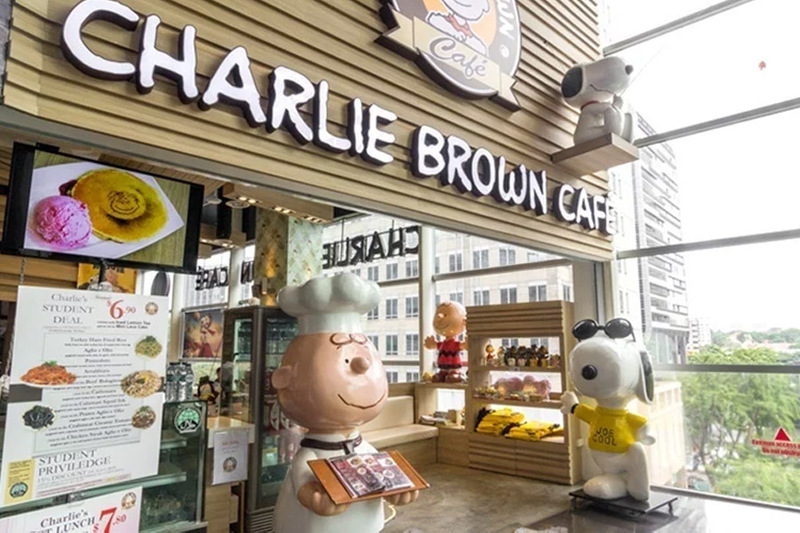 Good to know: The Charlie Brown Café is Halal-certified, and there is no service charge. 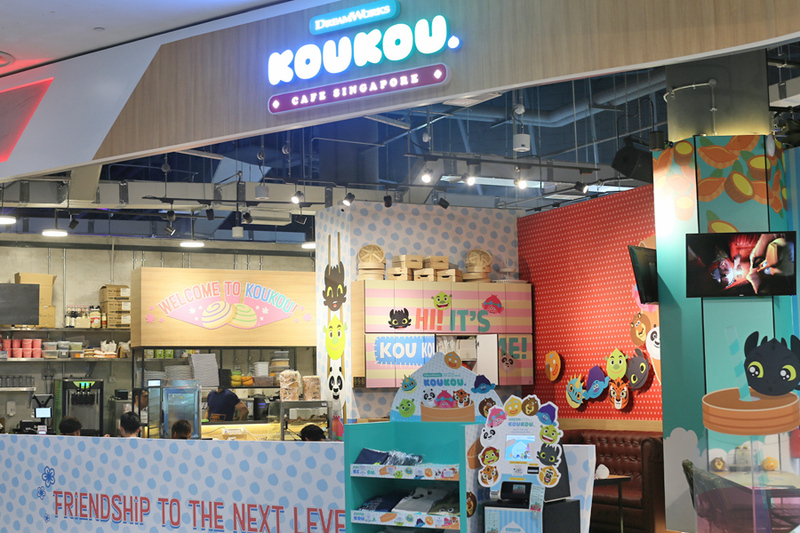 A DreamWorks KouKou Café has opened at Bugis Plus. 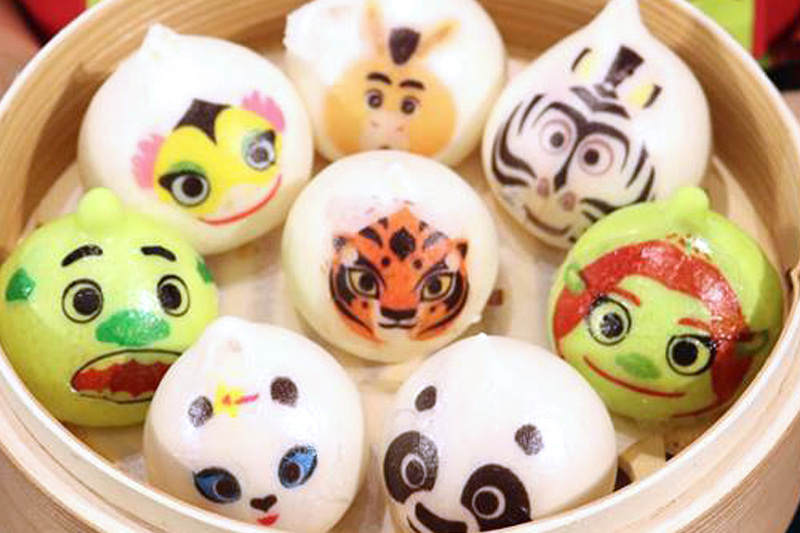 It is named after the Chinese word “口”, and features bite-sized incarnations of the well-loved characters from iconic DreamWorks animated movies – Kungfu Panda, Madagascar, Shrek, How to Train Your Dragon and Trolls. 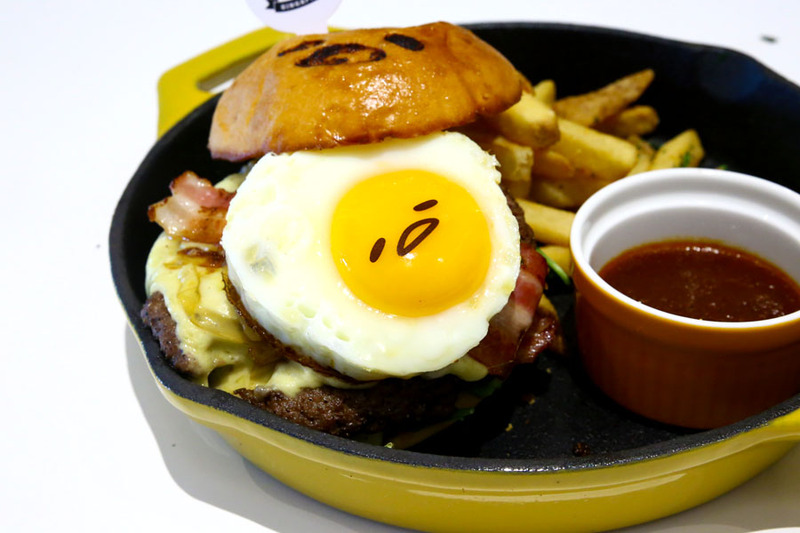 Started by the same folks behind Gudetama Café Singapore, the one-year pop-up café would be the first KouKou’s themed café in the world. 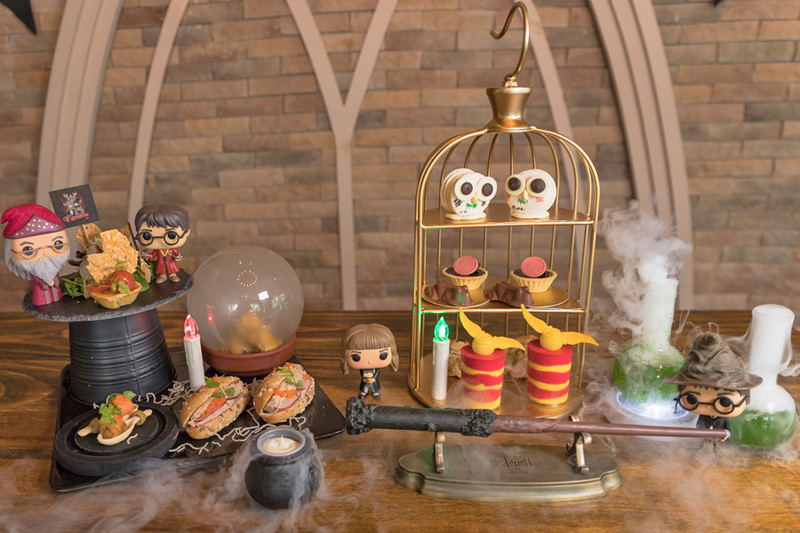 Platform 1094, commonly known as the Harry Potter café, is the first wizardry themed café in Singapore. The menu is specially designed to bring a magical touch to many of the dishes, drinks and even desserts, and restaurant decorated with specially imported furniture, wood-panelled ceiling and castle-like brick walls. One of its special feature is the Afternoon Tea Set ($55 for 2 pax) which includes an assortment of savoury highlights such as canapés served using edible magical ladle to a colourful medley of sweet treats, complete with golden bird cage and mystical black plating.